Lottery sales will begin Saturday, at Noon Central Time on March 2 2019. 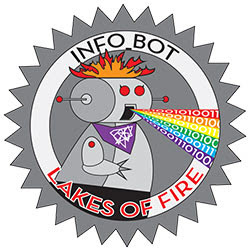 Registrants must be logged in to https://burnertickets.com/lakes-of-fire-lottery-registration/ to check their lottery status and waitlist position. All registrants selected in the lottery have only 72 HOURS to purchase their ticket. Don’t delay in buying your ticket! E-mail notifications regarding ticket purchasing opportunities will not go out instantly at Noon, Central Time, March 2nd, but we expect the first 1000 or so to go out in a few hours. Lottery registration closed on February 23, 2019 and lottery offers began March 2, 2019. We do not anticipate a fire sale this year. QUIET CAMPING – Read about the new Chill Zone and Quiet Zone camping in 2019. Days like this make me wish I was at Lucky Lake.